This week your little baby is already 4 months old. The first three months went by faster than you had imagined and things are now beginning to settle down and a routine is falling into place. Your baby 4 months old is becoming more and more receptive to his surroundings. By this time, most babies understand the basic sounds of their native language. They also begin to make their first sounds – a coo or aarguu or baaa. They still cannot associate these sounds with you or any other object but the fact that they can make a sound is enough to get you and your partner all excited. Whenever your baby makes a sound always make sure you react and talk back, as this is currently one of the most favorite 4 month old baby activities. By doing so you will encourage your baby’s communication skills. When he receives a reply, the action and reaction makes him understand that when he makes a sound, something happens. These are new developments which occur this month and are a little better than baby development three months. Your 4 month old baby has also recently discovered that his arms and hands are part of him and he loves to wave them in front of his eyes and see his fingers move. Repeating an action is his favorite pass time these days. You may be worried if you don’t hear a sound from the nursery and may be amused to find him entertaining himself by looking at his hands. Your baby’s sense of humor is also here. He may begin laughing or giggling at small actions like a sneeze, a pop or a whistle. He becomes quite a charming entertainer and you will love to sit down and watch those innocent giggles and laughter. Feeding : By month 4, most of the breastfed babies show a steady weight gain as they begin to feed well. The amount of feed for formula fed babies ranges from 100-120 ml per feed. Breast fed babies can now pull on a good three hours between two feeding sessions. Can you feed 4 month old baby food, is a concern of all new parents. Starting solids is something that you are thinking about these days, but it is a good idea to exclusively breast feed for 6 months and then gradually wean off your baby. Sleep: By now your baby 4 months old is sleeping longer hours at night and is more alert and awake and responsive during the day. Babies still sleep around 16-18 hours at this stage. Babies this age are more interested in their surroundings so when they are awake make sure you give them enough visual and sound stimulation. Babies can now differentiate day from night and this helps them to sleep better. These are all important baby 4 months development milestones that you should be proud about. A long stretch of sleep which could be anything from 4 to 6 hours per night is round the corner and your baby is going to give you the much needed night rest so hang in there! The sleeping hours increase with the growing stages of a baby. The birth of a baby brings about many changes in your life, some physical and many emotional changes. Your newest worries and concerns are about the baby’s sleep, feeding and his well being. Many new mothers find all this repetitive work pretty overwhelming and the less sleep also begins to take a toll on them. It is best in such situations to take your partners help and get him involved in the smallest of tasks. This will give you a break and also help him to bond better with the baby. Keep a habit of reading or doing something by yourself. The smallest me time can help you to de-stress and feel better. This will help you to cope better with baby care routines. By now you have recovered well from the strain of child birth and it’s time to begin exercising and get back into shape. You can begin with a moderate or low intensity workout and gradually increase. This will help you to feel better. Look for gyms that have a nursery so that your baby can be looked after and you are close by in case the baby needs you. Make your little one a part of your workout and be on the floor with him or put him in a high chair and exercise in front of him. You may have gone back to work and in the initial days anxiety about the baby may be troubling you. You must take time of lunch break to feed your baby if it is possible or pump your milk and give to the caretaker so that it can be given in your absence. Basics of breast pump use videos are easily available online and they give you a fair idea of how to go about pumping. Do not stress about not being able to feed your baby 4 months old as it can affect your milk flow. Relax as a few weeks go by, a routine will set in. Joining a parenting group also works wonders for you as there will be other moms in the exact same situation as yours and interacting with them will surely boost up your mood. You will realize that you are doing a great job with your little one and also get answers to your queries. Night Time Routine: In order to have a good night’s sleep, your baby should be introduced to a bedtime routine that is consistent. Babies love predictable schedules. It could be a feed followed by a massage or bath, change of clothes and a bedtime story, helping 4 month old sleep. After that you should put the baby down when he is drowsy and just about to fall asleep. By doing so, you can help him to learn falling asleep on his own. You could take your partner’s help by alternating the routine on a day to day basis so that each of you has some time off. However, these routines can also change based on your baby’s gender. The routine of a 4 month baby girl will be much easier than the routine of a baby boy. However, longer sleeping hours only help in enhancing complete baby development. Respiratory Infections: A mild cold is very common among babies but if the symptoms of the cold get worse and the breathing is getting difficult then your baby could be affected by RSV- Respiratory Syncytial Virus. It is not a serious infection but it is a common cause of bronchitis and other lung infections. It is diagnosed by symptoms like difficult and noisy breathing, feeding troubles and blue nails. 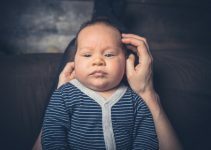 You could follow easy steps like raising the head end of the baby 4 months old while sleeping, using a vaporizer or saline drops to help him breathe better. 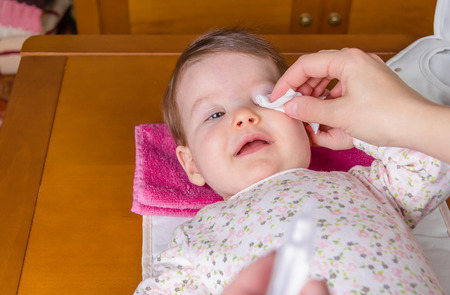 Conjunctivitis: If you notice that the white sclera of the eye is looking reddish or pink and the baby has excessive lachrymal discharge, he could have conjunctivitis. It is contagious and the best way to avoid it is to prevent sharing of the toys or napkins and wash cloths at home and in the day care center. 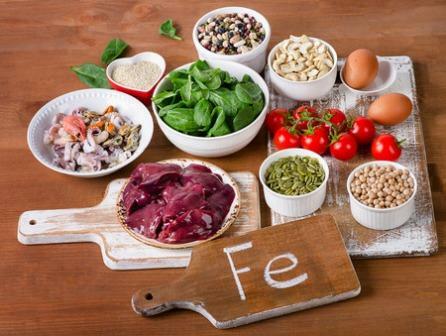 The treatment will depend on the basis of the cause-bacterial or viral. Ear infections: These are very common in the first year of life. It could be due to bacteria or virus infecting the middle ear and causing pain and fever. Most babies will have a loss of appetite as feeding becomes painful and they will rub or tug at the ear constantly. Most cases will resolve on their own but if the symptoms are severe then they need to be treated with antibiotics and fever lowering medications.